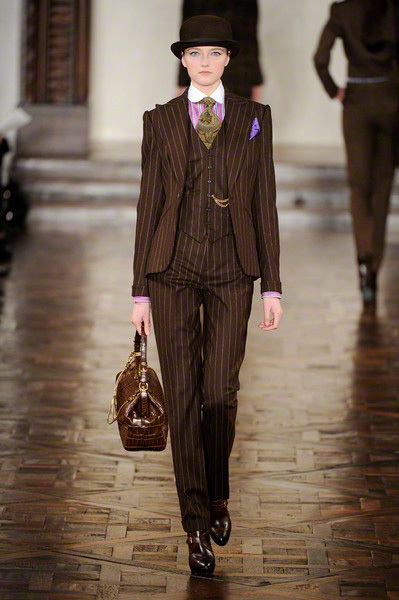 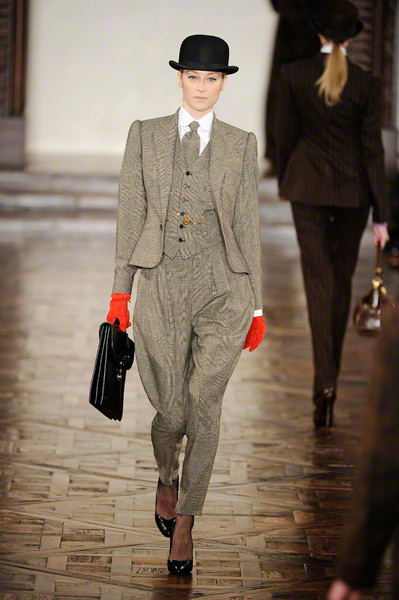 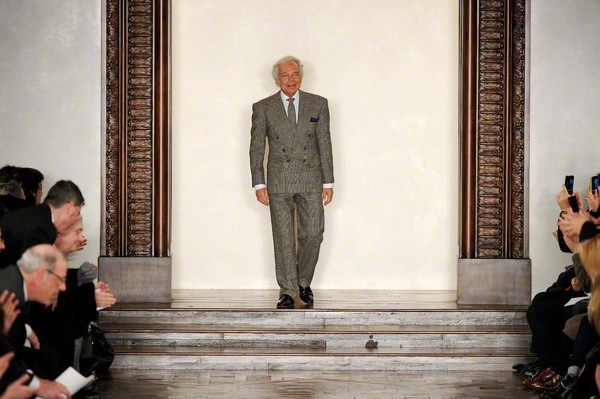 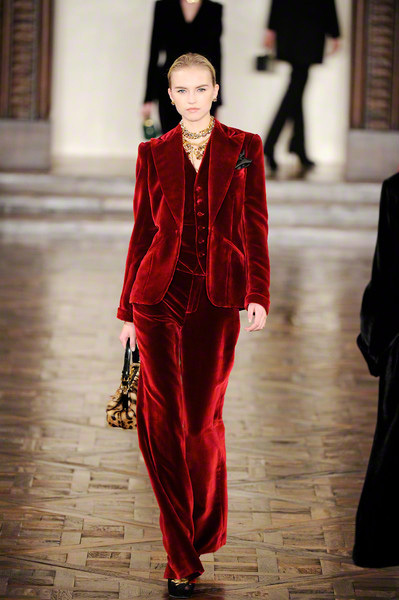 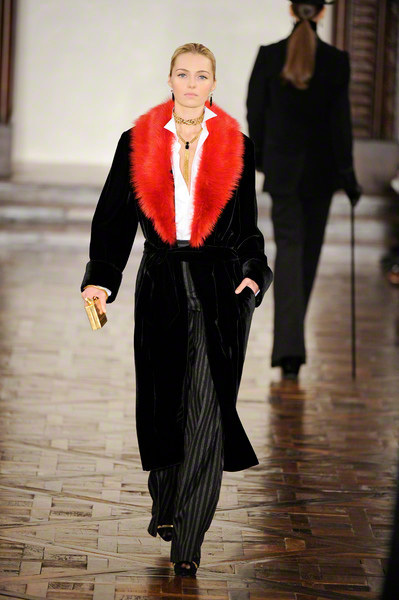 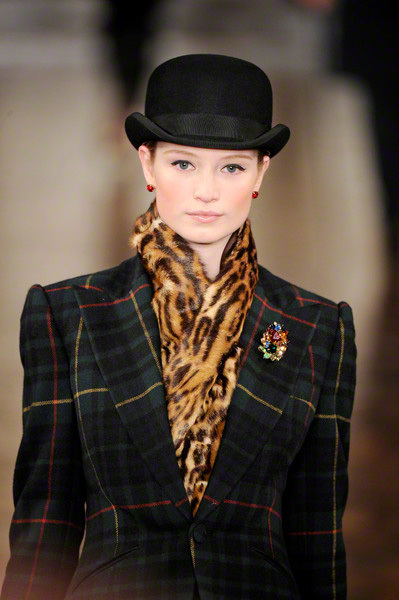 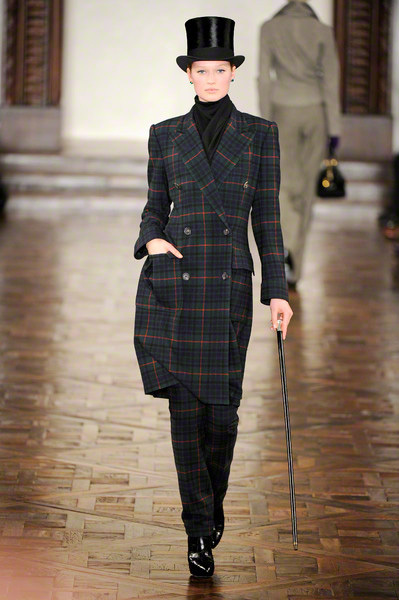 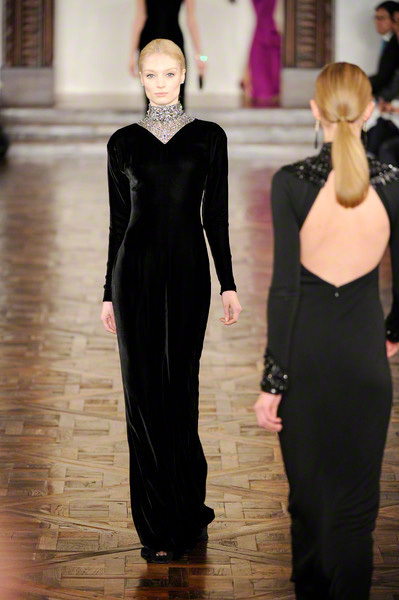 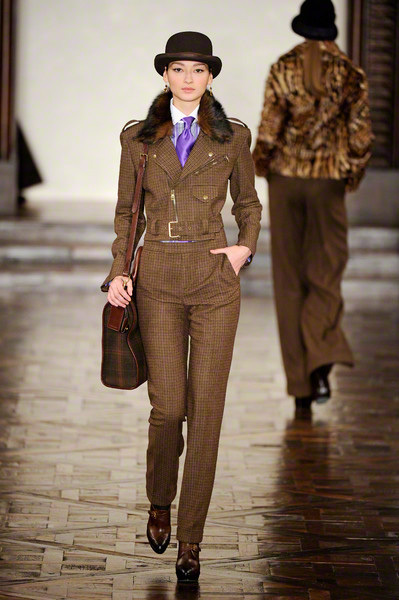 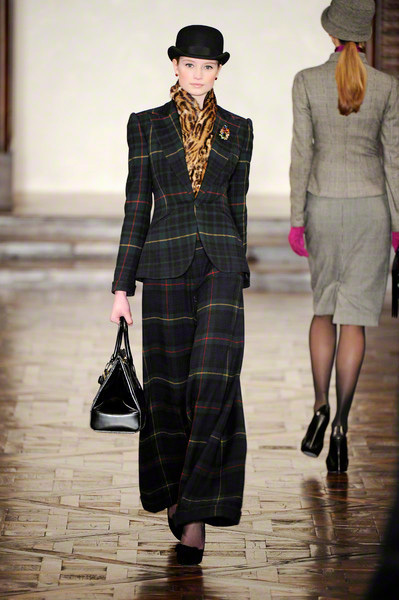 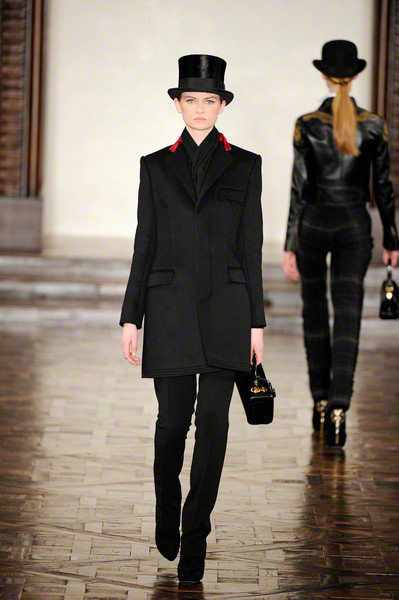 Who could work out a theme like the popular tv-show Downtown Abbey better than Ralph Lauren? 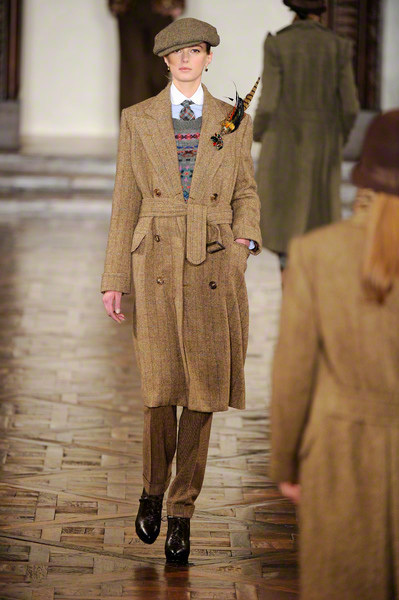 The man who secretly seemt to be an Englishman living the countrylife. 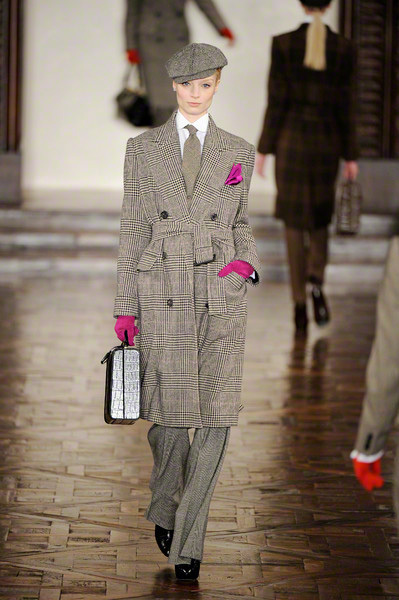 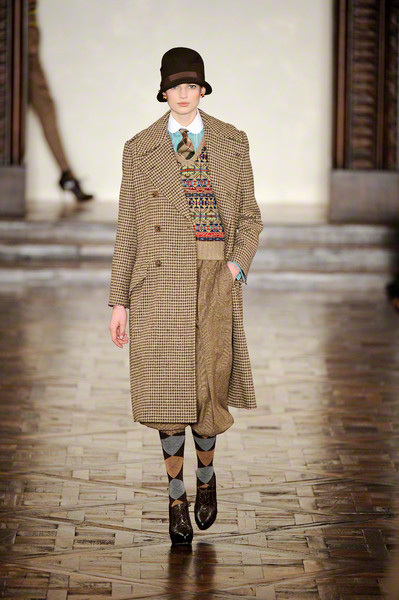 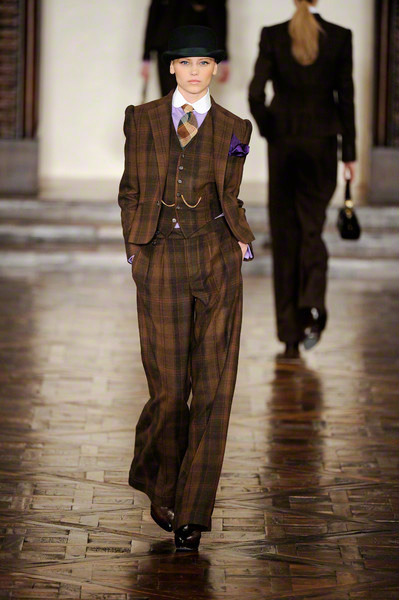 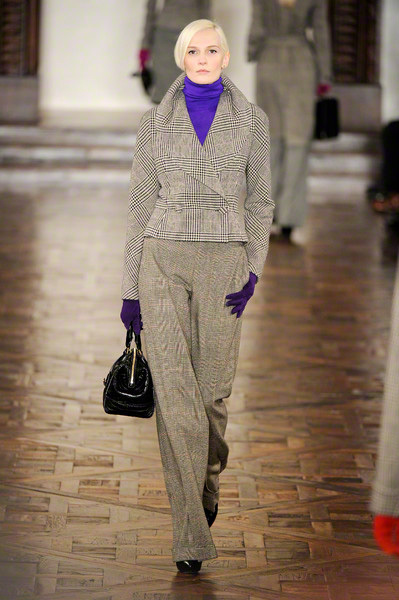 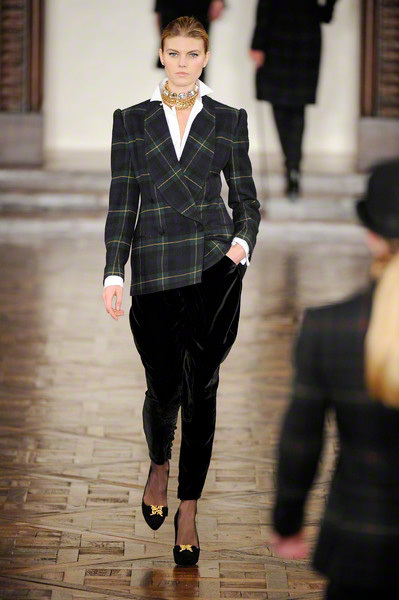 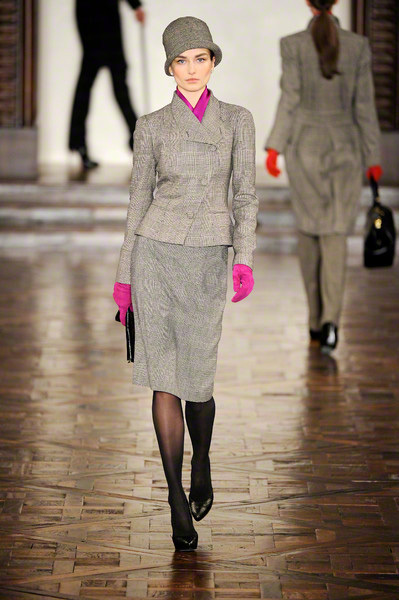 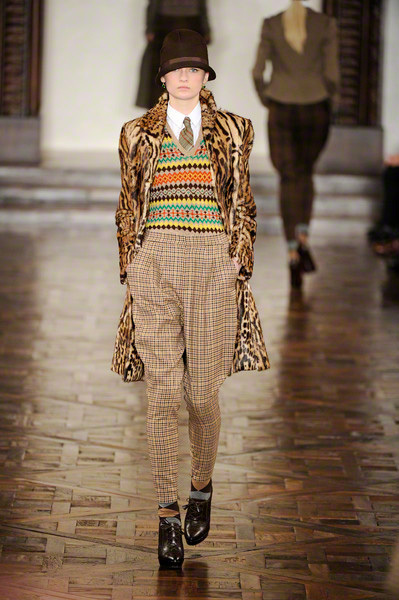 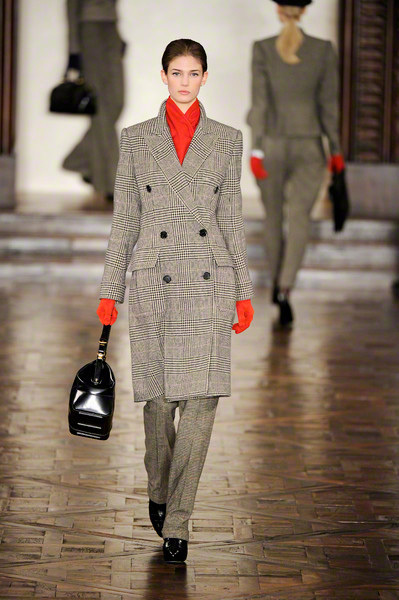 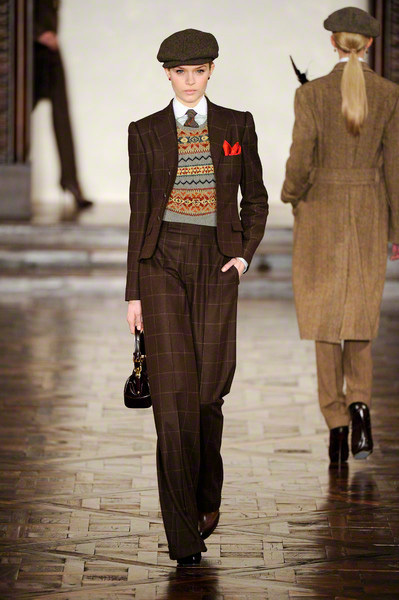 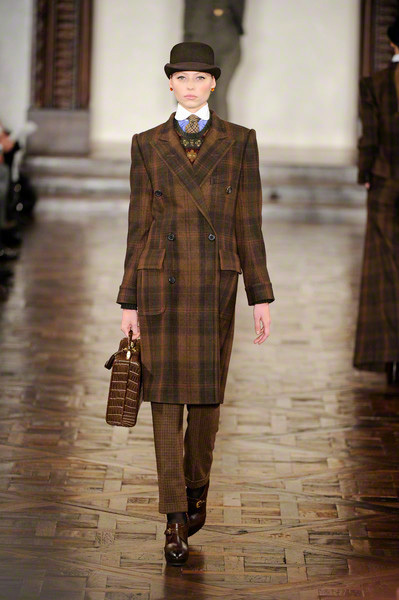 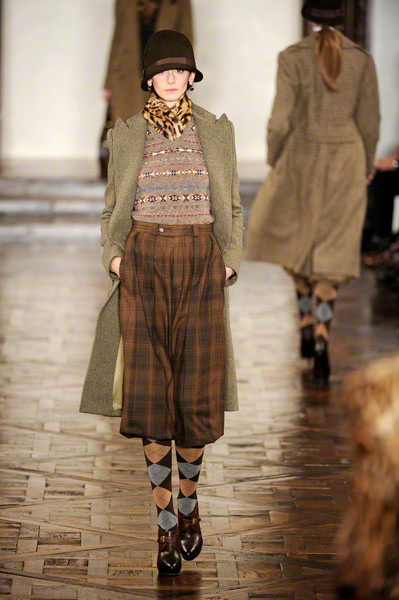 The show opened with casually elegant men’s wear looks all in mixes of tweeds, plaids and checks. 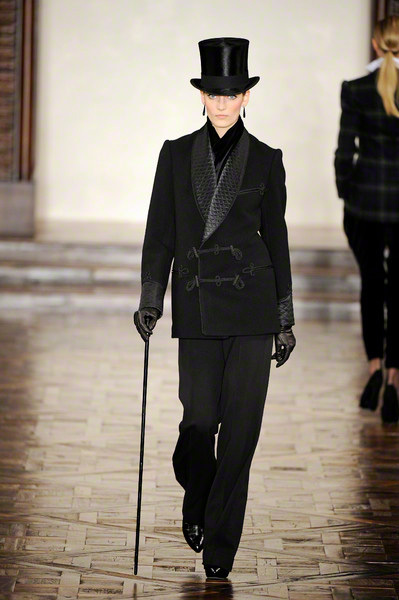 In a season where fabric-mixes play an important role his combinations felt natural. 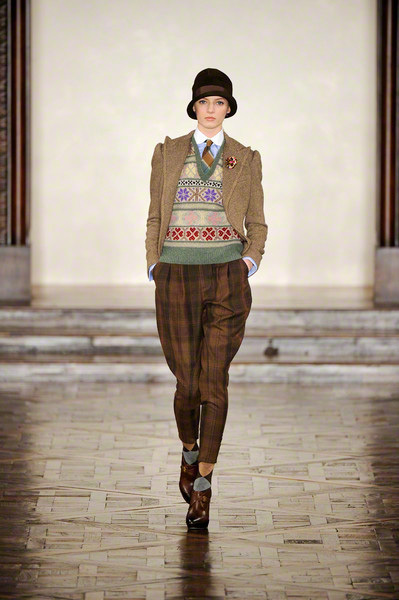 The styling was very Downtown Abbey, but the pieces were versatile. 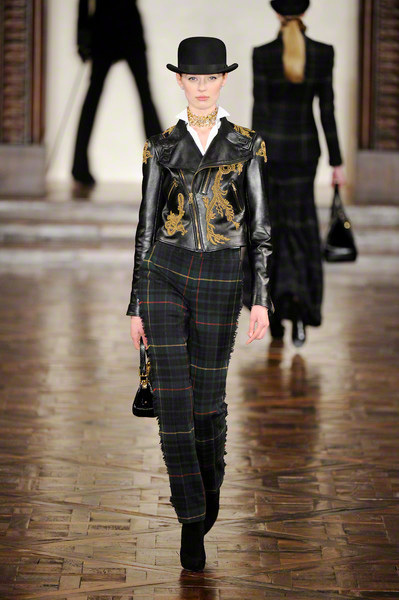 A leather motorcycle jacket felt as right in the mix as a spencer. 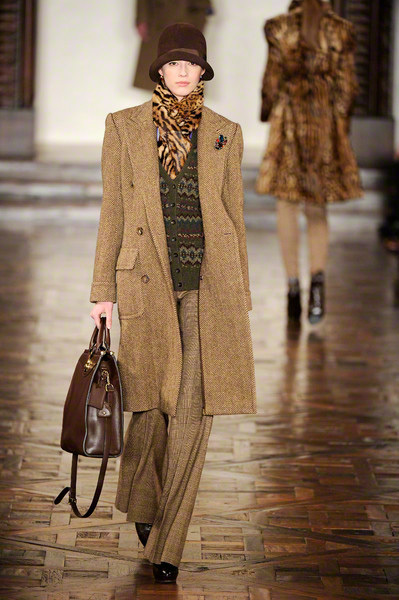 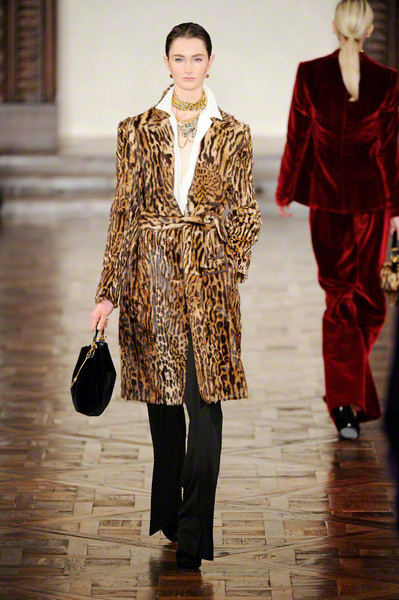 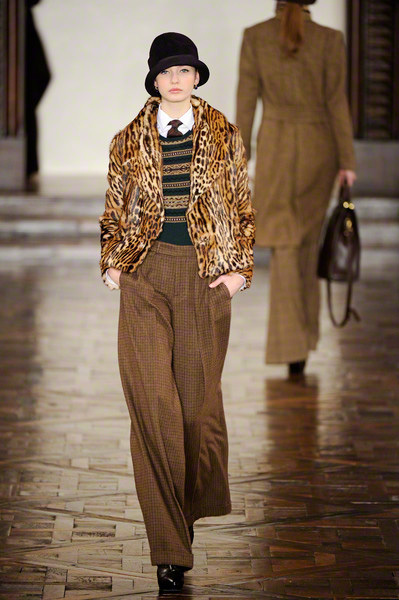 Coats came in various forms, from herringbones and plaids to ocelot-printed shearling. 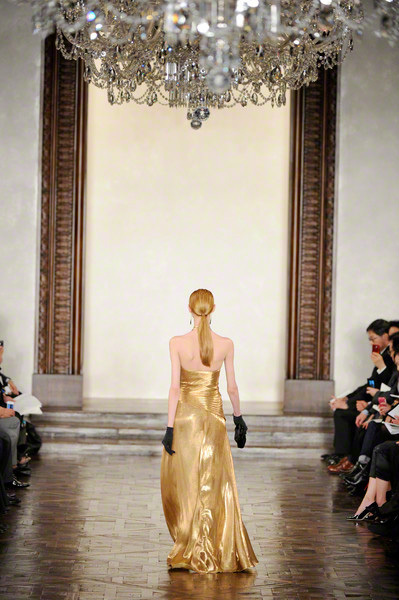 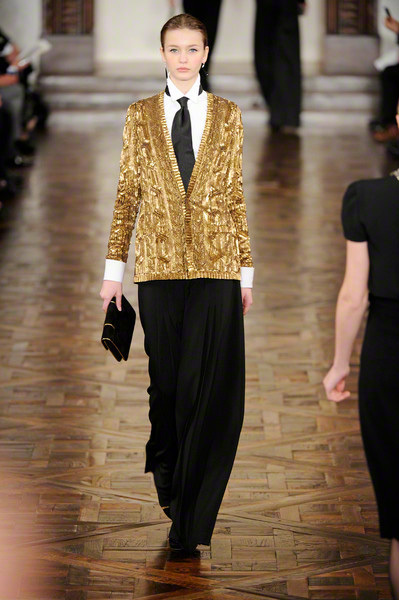 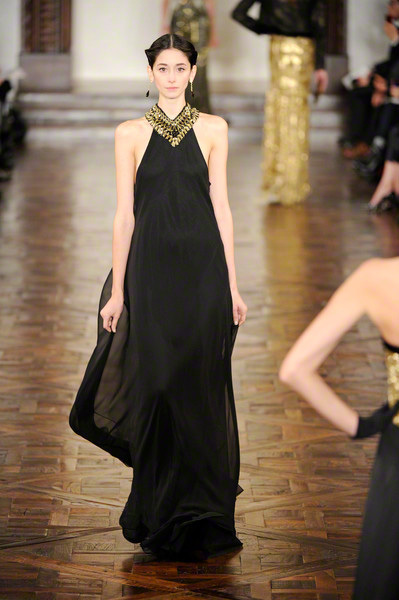 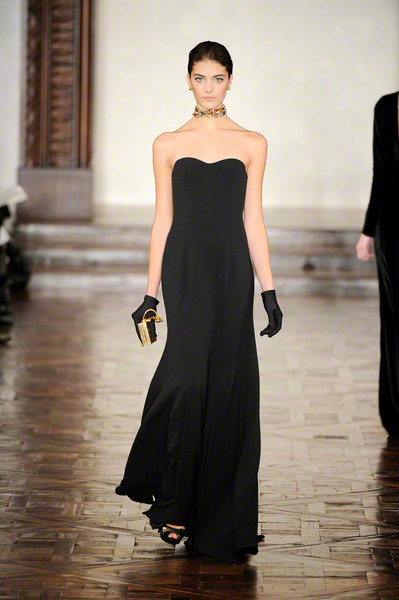 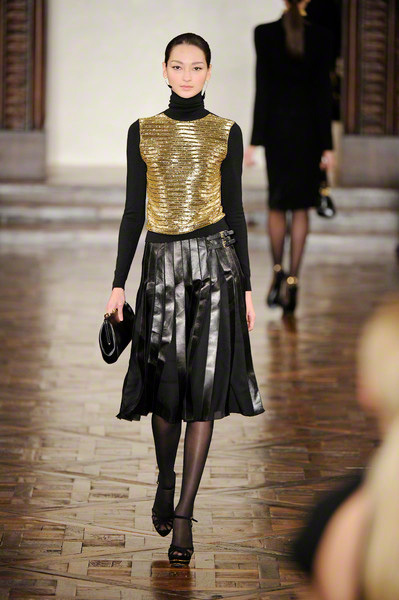 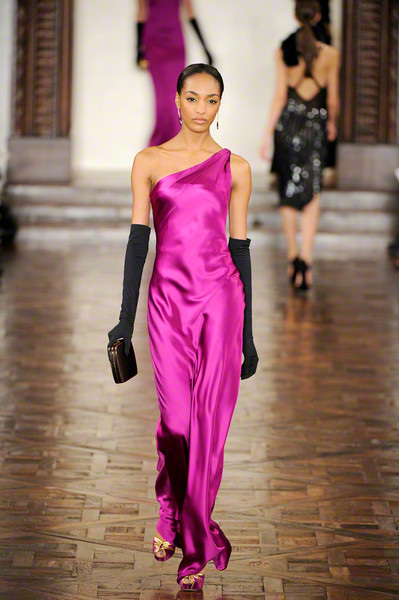 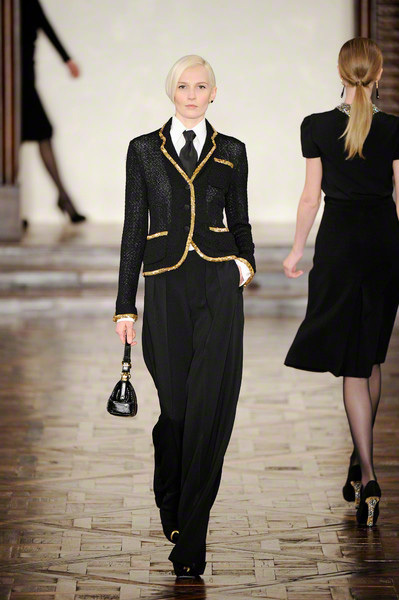 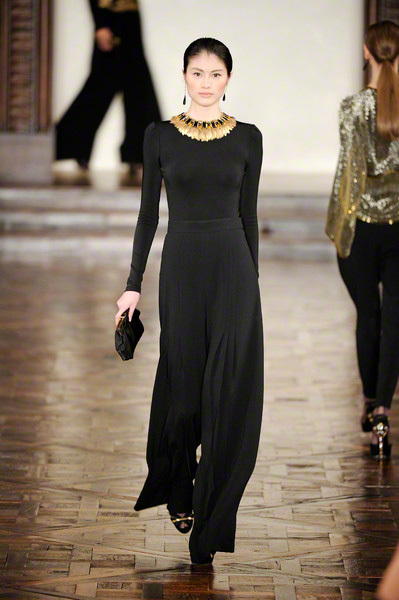 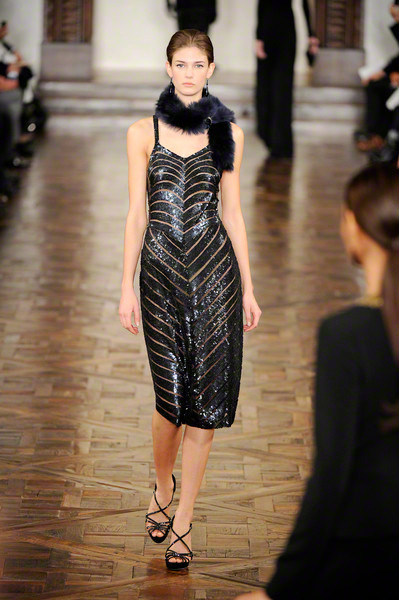 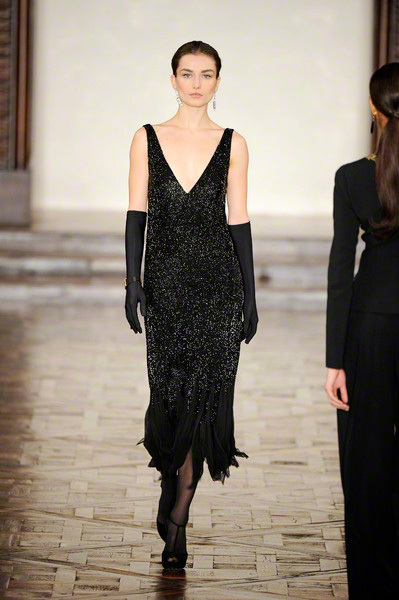 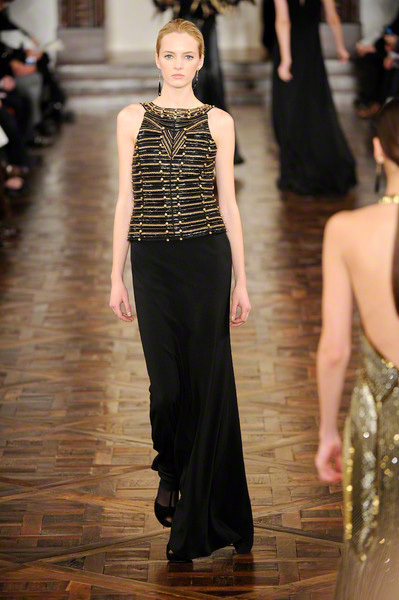 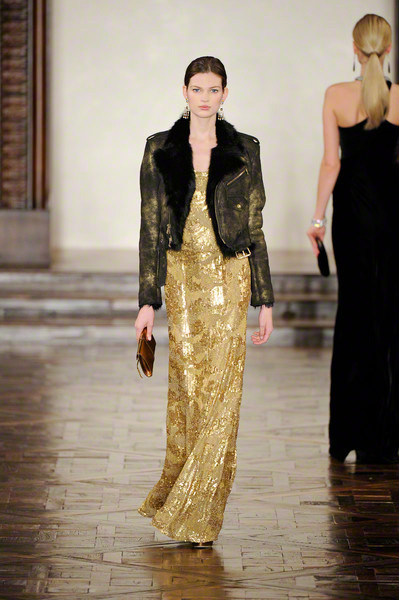 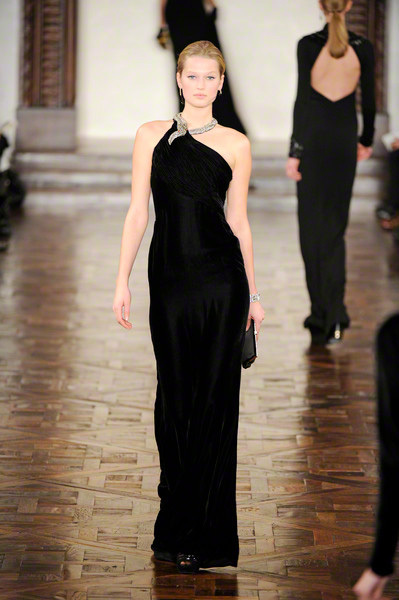 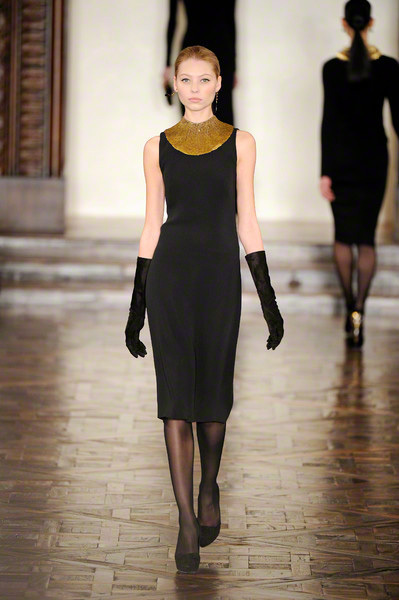 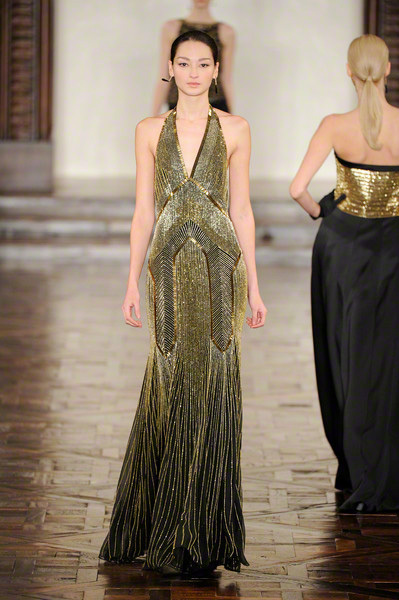 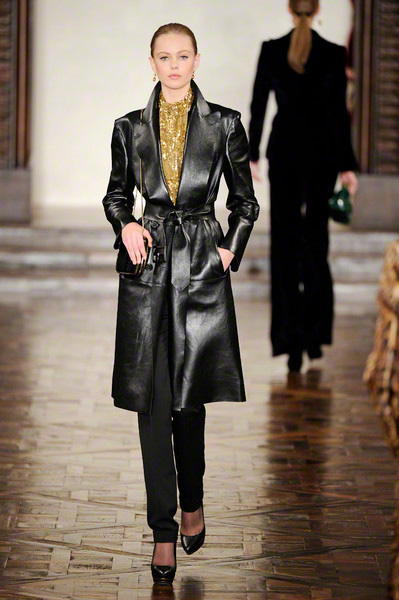 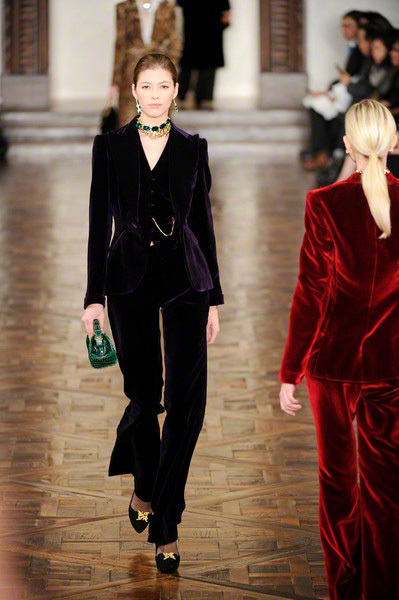 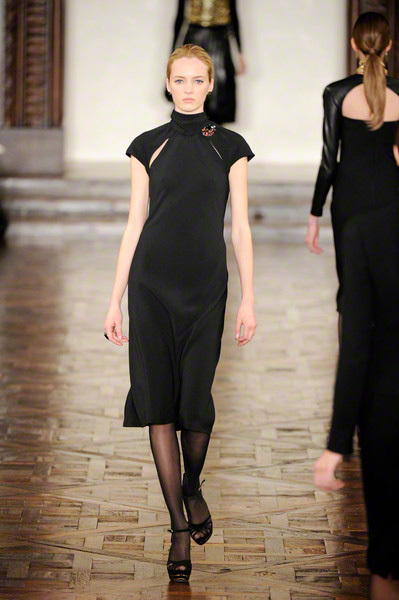 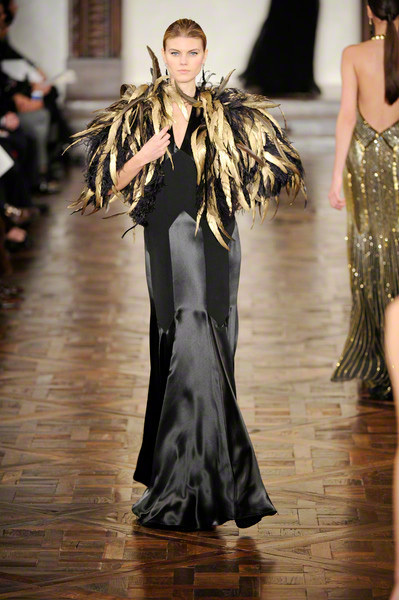 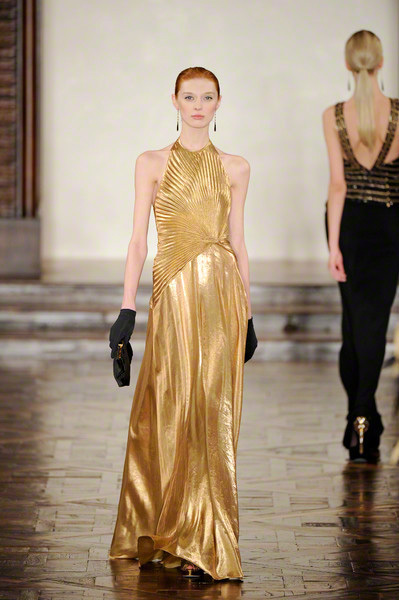 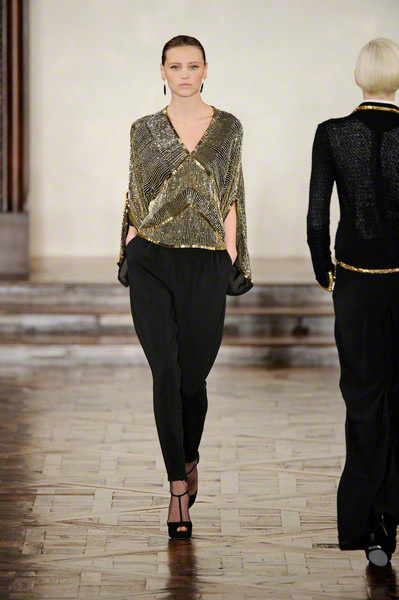 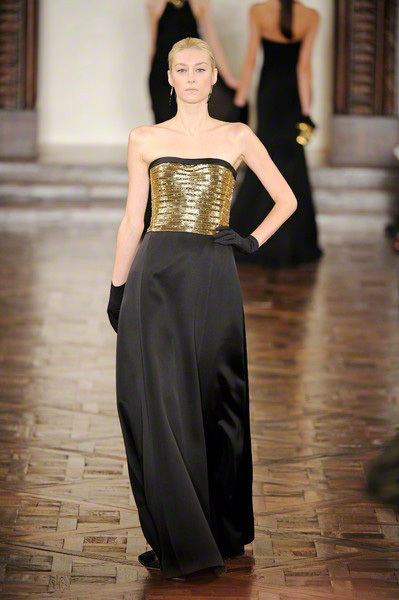 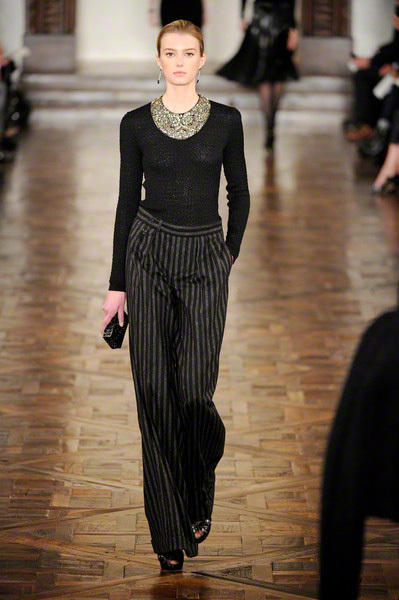 The rest of the show was all about the timeless elegance of black and gold.